Every day, we write college papers, blog posts, work documents, emails, and social media updates. Our writing represents who we are personally and professionally, so it’s worth it to hone your skills. Here are twenty-five writing tips to help you communicate better in text. Maybe you want to write a certain number of words per day or upgrade your vocabulary. You can’t reach a goal unless you have one, so write that goal down and work toward it. 2 Write in the morning. 3 Get inspired by research. Before you begin writing, do some reconnaissance reading. Take notes as you read up on your subject material. Ideas will form as you research. Here’s a tip: Once you’ve jumped into the writing process, don’t stop to do more research. Instead, add a placeholder like [RESEARCH] and keep rolling. You can come back to finalize facts and add references when your first draft is finished. If you often find yourself rambling on without a clear structure, start with an outline. Follow this simple, no-fail outlining process to organize yourself from the start. Brevity is important in professional communication. Respect your colleagues’ time by knowing exactly what you need to communicate before you begin writing so you can keep your message concise. Does the person you’re communicating with have the same information and frame of reference you do? If not, make sure you provide context. You don’t have to give the entire backstory, just fill in the missing pieces so your message will be clear. 7 Format your email properly. Use good email formatting structure. Write an enticing subject line so your recipient is compelled to open your email. Understand proper email salutations and closings. Yes, you might be irked at your colleague for dropping the ball on that project and making you look bad, but don’t send emails when you’re still fuming. If you must write when emotions are hot, do it offline. Walk away for at least twelve hours, then edit with a calm head. Here’s a tip: Don’t treat email as anything less than an extension of your professional persona. The way you communicate in professional settings reflects on you in a potentially lasting way. 9 Proofread thoroughly before you hit SEND. Typos and grammar gaffes make you look bad. Scan your email and fix errors before you send it. You’ll look your best when your correspondence is mistake-free! 10 Write like you talk. Within reason. Your writing should sound natural and fluid. Unless you’re communicating in a more formal context, write as though you’re talking to a friend. We just said “Write like you talk”, but there’s a caveat—don’t ramble. 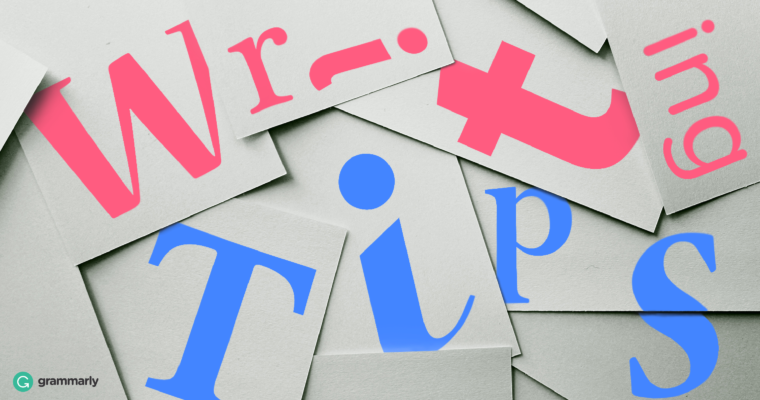 Avoid winding twists and turns, and don’t use filler words such as like, really, and you know. Good writing should get to the point and avoid fluff. No matter what the message, we humans are drawn to stories. Consider Pixar’s guide. 13 Empathize with the reader. Empathy can improve all kinds of writing, from fiction to content marketing to email outreach. Take the time put yourself in your reader’s place. Are you preaching to her, or are you engaging her by showing that you relate to her feelings and experiences? 14 Be fascinated in order to be fascinating. The more interested you are about the subject you’re writing about, the more intrigued your readers will be with what you’ve written. Here’s a tip: Faced with less-than-inspiring subject material for an assigned project? Find a fascinating angle for your story. With the right approach, it’s even possible to write an interesting story about something unappealing. 15 Let your writing rest for a while and edit fresh. Whenever possible, don’t edit just after you’ve finished writing. Come back after a break and review with fresh eyes. Even stepping away for a quick walk or a cup of coffee can help you shift gears from writer to editor. 16 Get rid of filler words and phrases. When you edit, it’s time to cut the fluff. Every word needs a job, and those that aren’t pulling their weight have to go. Here’s our list of words and phrases you can eliminate right now. 18 Develop your comma mojo. The comma is a misunderstood punctuation mark. There are a number of rules for proper comma usage, but if you study them, they’ll become second nature. Here’s a quick guide. And here’s another that lists the most common comma struggles and how to solve them. 19 Put everything in the right order. We often write in the order that ideas and thoughts come to us, but that’s not always the best way to present the final product. Here’s a tip: If you didn’t outline before you began writing, try outlining your finished draft. Sometimes, the process of outlining a finished draft will reveal paragraphs or whole sections that would make more sense if they were moved. 20 Read your writing out loud. One of the best ways to find clumsy sentence structure is to read your writing aloud. If you stumble as you’re reading, take a look at the sentence you tripped over and see if you can clear it up. 21 Keep a list of mistakes you make often. We all have our writing struggles. Make a list of your most frequent mistakes so you can easily find and eliminate them next time. Here’s a tip: Let Grammarly do the tracking for you! Members receive free weekly email insights, which include not only statistics about their writing habits and level of mastery, but their top writing mistakes. 22 Enlist a friend to read your draft. Sometimes a second pair of eyes can prove helpful. Just remember the mnemonic, TWYWALTR—in creative circles, it means Take What You Want And Leave The Rest. Give all the advice you receive your full consideration, but make your own choices in the end. 23 Get a hand from Grammarly. 24 Keep reading, learning, and practicing. Read about writing. (You’re here, so you’re off to a good start!) Read in general, and you’ll learn writing tips by osmosis. And practice often. The best way to improve your writing is by doing it. And if you need a distraction-free writing space to practice, Grammarly has your back.